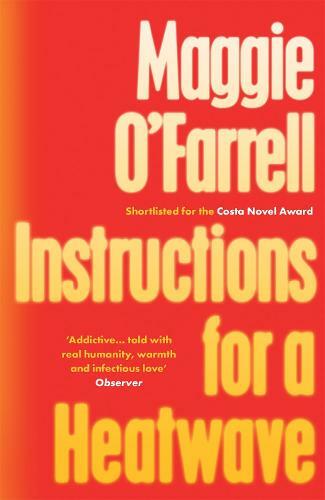 A story of a dysfunctional but deeply loveable family reunited, set during the legendary summer of 1976, INSTRUCTIONS FOR A HEATWAVE by Maggie O'Farrell was shortlisted for the 2013 Costa Novel Award and was a Sunday Times Top Ten bestseller. It's July 1976. In London, it hasn't rained for months, gardens are filled with aphids, water comes from a standpipe, and Robert Riordan tells his wife Gretta that he's going round the corner to buy a newspaper. He doesn't come back. The search for Robert brings Gretta's children - two estranged sisters and a brother on the brink of divorce - back home, each with different ideas as to where their father might have gone. None of them suspects that their mother might have an explanation that even now she cannot share. Waterstones has been a keen early advocate of Maggie O’Farrell since we identified her as a talent to watch in our 25 Authors of the Future list back in 2007 after supporting her brilliant debut After You’d Gone. Since then she’s continued to impress with novels including: Instructions for a Heatwave, The Hand That First Held Mine (for which she won the Costa Book Award) and This Must Be the Place. I struggled to get into this book, was a little slow for me. Then everbodys taste is different.